A few months ago my oldest friend said she was coming back from Australia to visit friends and family. She suggested going for afternoon tea at the Savoy. She checked that they could provide gluten free options and the answer was yes. 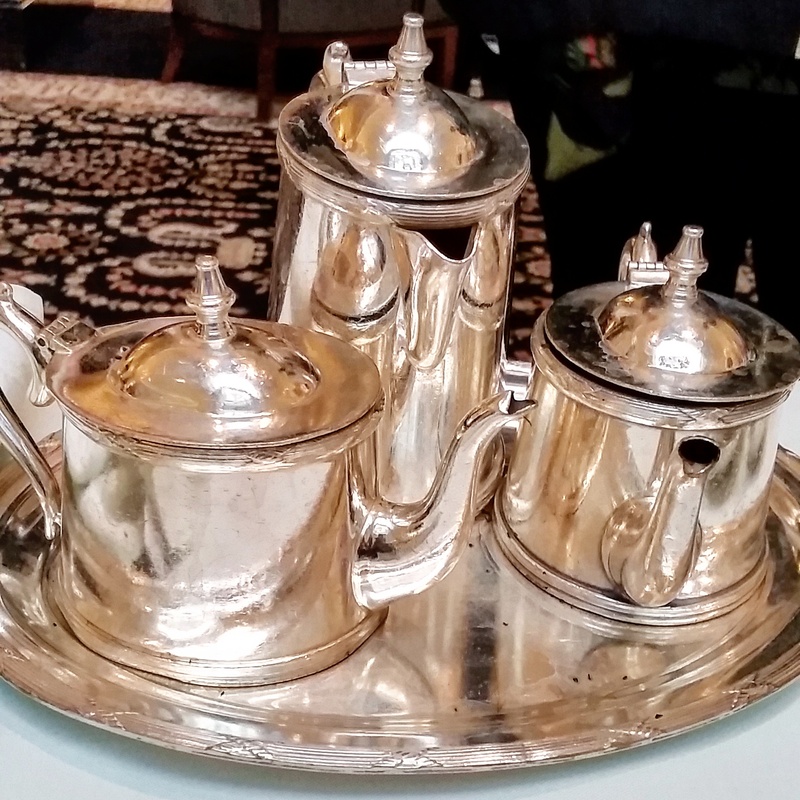 We were given the option of afternoon tea and high tea. 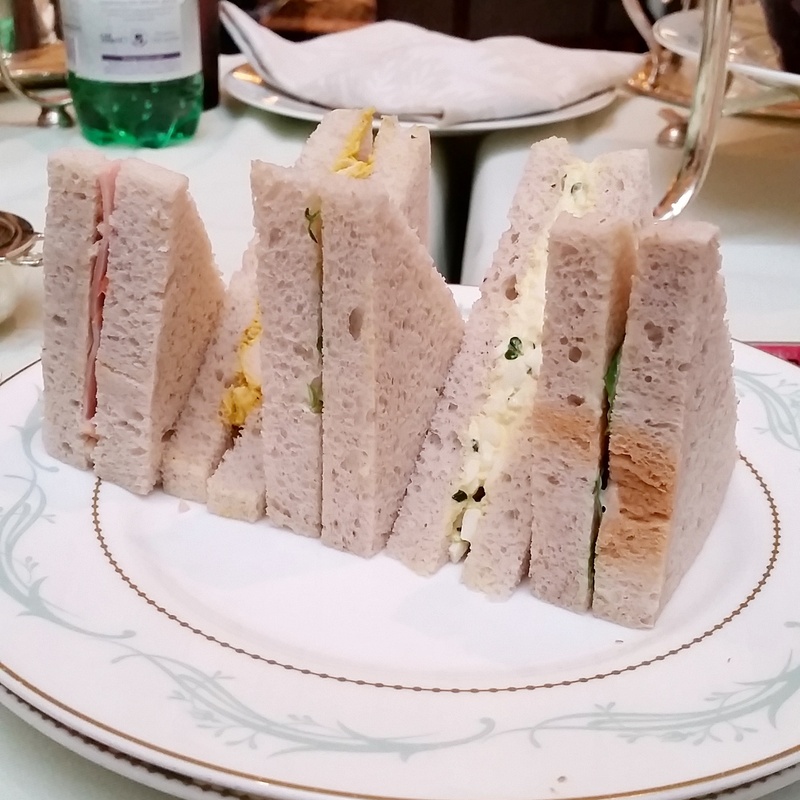 I went with the high tea option and reminded them of my gluten free diet. 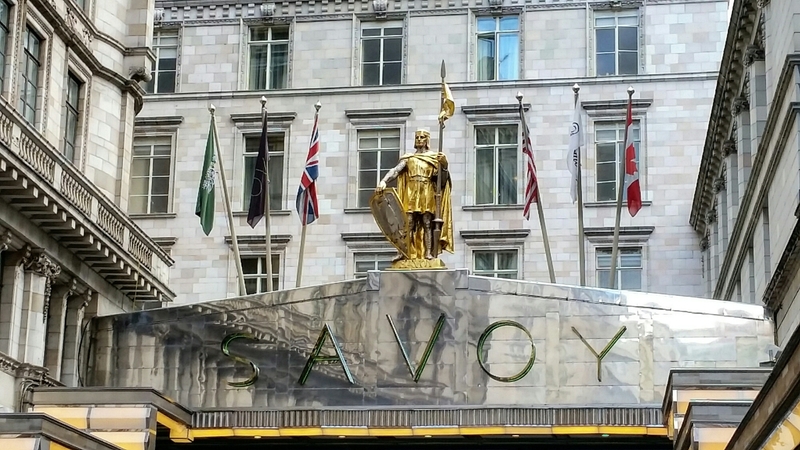 We had the choice of 32 different teas and we chose an afternoon blend exclusive to the Savoy. Then it started, the sandwiches came first and the gluten free options were slightly different. I had egg mayo, rocket and tomato, coronation chicken and ham and coleslaw. After two rounds of sandwiches, it was time for scones. They were slightly smaller than their usual scones and the base was a bit hard, but not too bad. 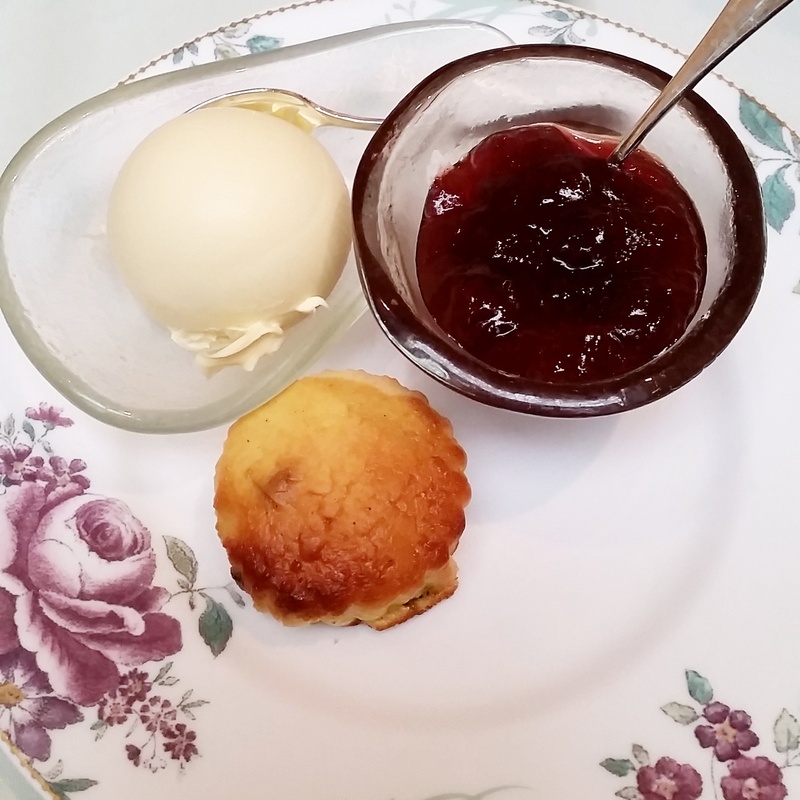 They were served with clotted cream, jam and lemon curd. I would say if you are coeliac I would ask for a seperate portion cream and jam. My friends didn’t mix their spoons so I didn’t have any problems. 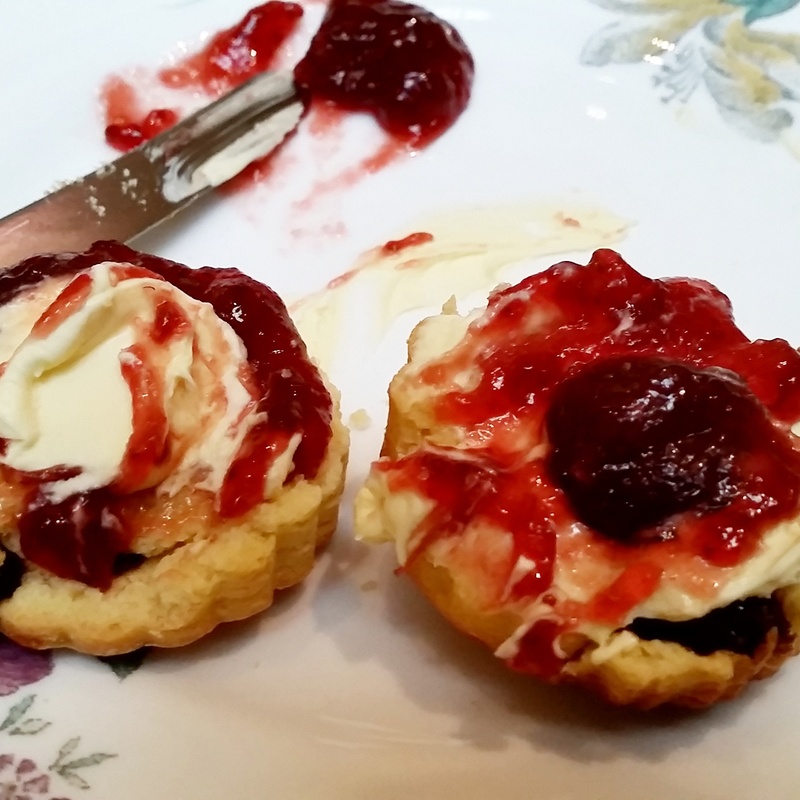 I decided to eat my scones with the cream on top and bottom. I prefer the cream being on the bottom, sorry if you don’t agree. 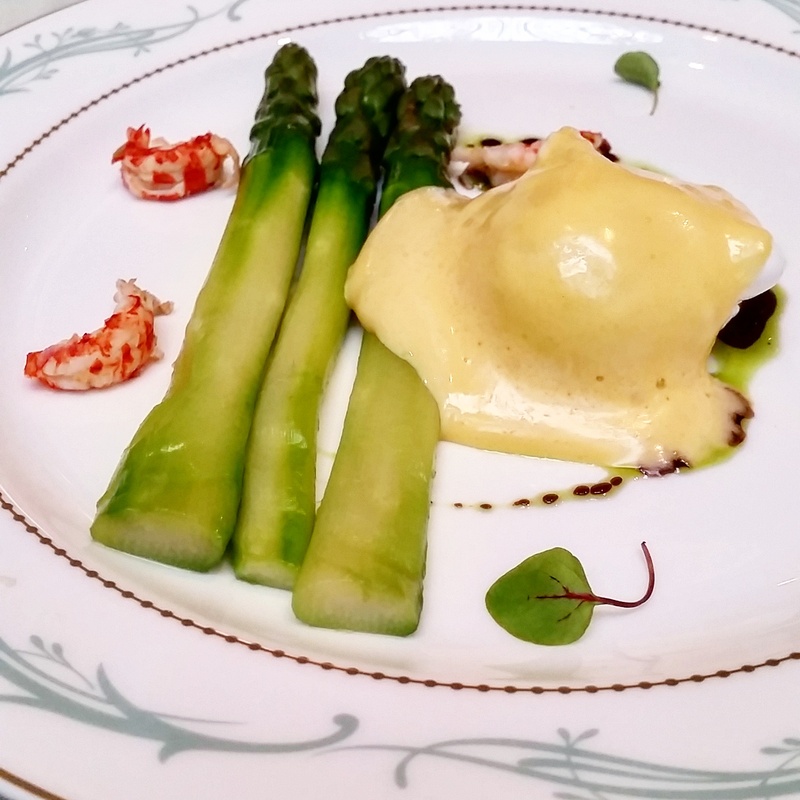 Then it was time for Green asparagus with poached egg, crayfish and lemon hollandaise, whilst eating all of this lovely food the tea was re-filled without asking. 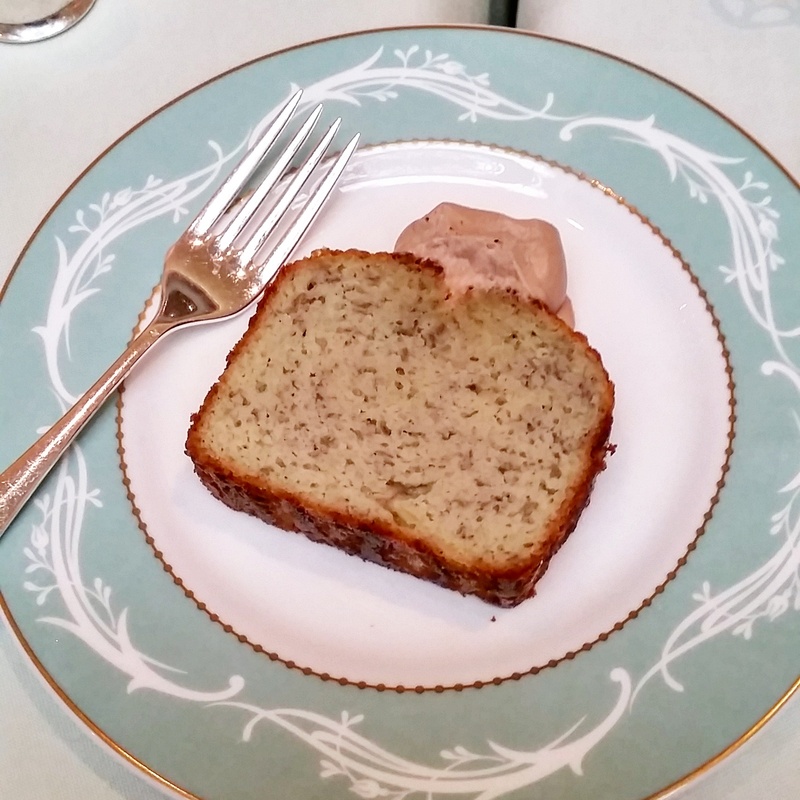 I asked if any of the cakes were gluten free and this banana cake was. All in all I had a lovely experience & I would definitely do it again.